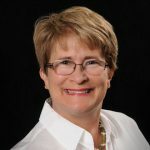 Elizabeth Otander, CPA PC is a CPA, QuickBooks Advanced ProAdvisor (Dektop & Online) and Sleeter Group Consultant Specialist. She provides Quickbooks trainings, setups and cleanups. She also offers accounting, tax, payroll and bookkeeping services. Company Elizabeth Otander, CPA P.C. Work For Elizabeth Otander, CPA P.C.? Claim This Page.